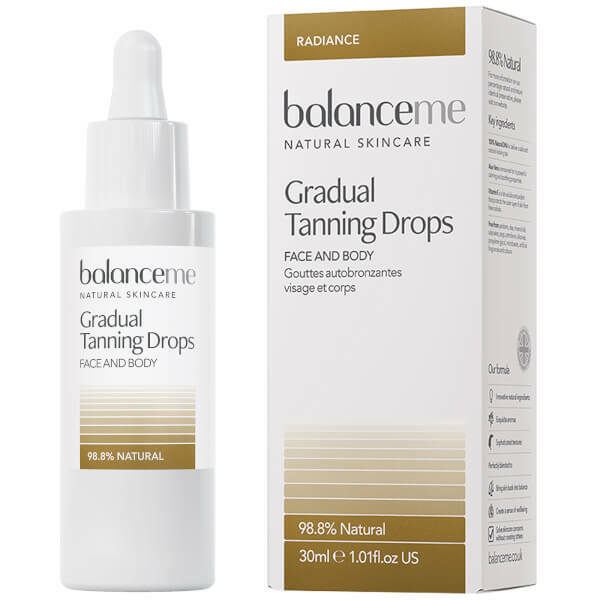 Achieve a sun-kissed complexion with Balance Me Gradual Tanning Drops; a dry oil formula that can be added to face or body moisturiser for a streak-free, natural-looking tan with no unpleasant smell. 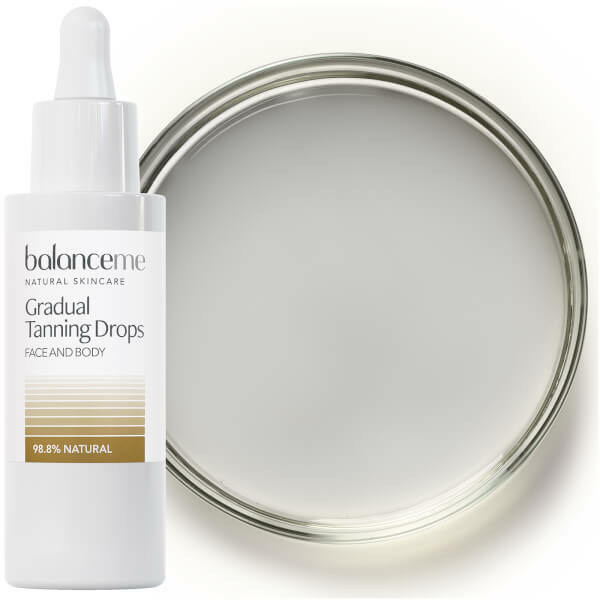 Fortified with naturally-derived DHA that reacts with amino acids in keratin (the main component of the skin), the non-sticky formula absorbs quickly and adapts to skin tone and type to deliver bespoke, even colour. A blend of moisturising Vitamin E and soothing Aloe Vera leave skin feeling smooth, nourished and beautifully glowing. Add 1 to 3 drops to your favourite face moisturiser or body cream. Start with 1 drop and build; you can always increase the dosage as the days go on. Make sure you wash your hands with soap and water after application to avoid colour going onto hands. As with all tanning products ensure you exfoliate regularly and moisturise and do not apply to hot skin. 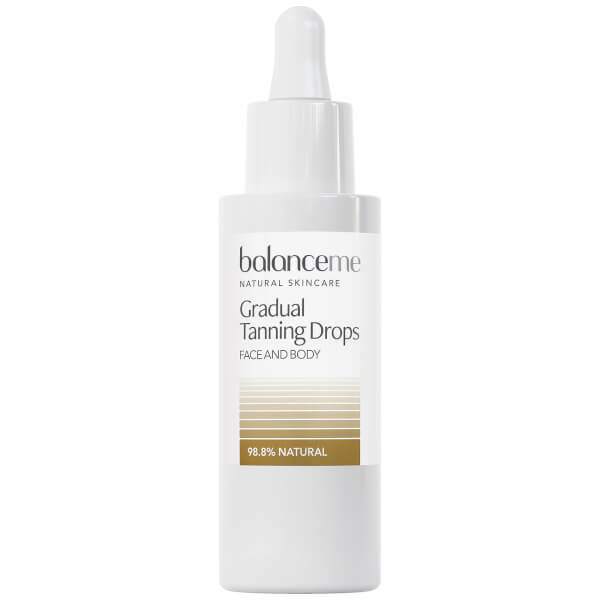 Please Note: The drops must be mixed with a face cream and not face oil.